“How you start your day is how you live your day, and how you live your day is the way you live your life” says writer, publisher and general spouter of truth bombs, Louise Hay. In other words: bugger up your morning and you’ll ruin everything. So, what’s the best way to awaken? As part of an ongoing series, we check in with successful types to see what they get up to when they get up. 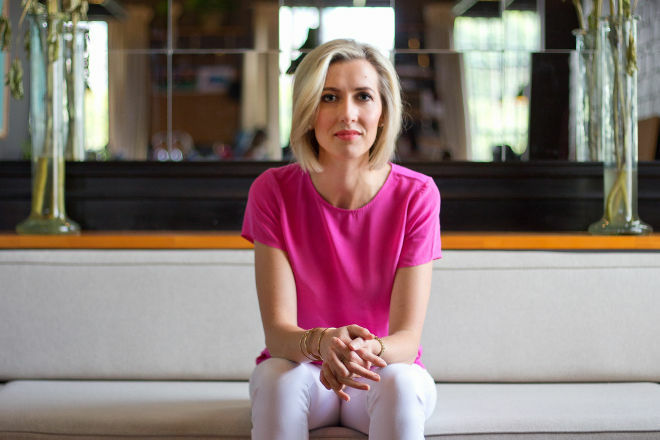 Lorraine Murphy was quick to recognise the power of the blogger, and in 2012 left a successful career in PR to create Australia’s first digital influencer talent agency out of her spare bedroom, The Remarkables Group. They turned over a cool $1.2 million after their first financial year, and with Lorraine’s now 26-strong network of bloggers, she’s responsible for helping influence eight million people a month by connecting Australia’s top bloggers with big brands. She lectures at both UNSW and Sydney University on strategic use of social media, is a sought-after speaker for industry events, leads training seminars for brands, and has countless accolades for both herself and the business (the most recent being named in the BRW Fast Starters list for 2015). Clearly familiar with being busy, Lorraine has refined her personal morning routine over time. This is how she starts her day.